This week has been the final week of an AusHEAL presence at HEAL Africa Hospital (HAH) in 2015. Consequently this report is brief as Neil and Gwen Wetzig left the hospital in Goma, D.R.Congo on Friday 30 October. Their last week was highlighted by a few events. — the installation and successful function of a new dental chair and system provided by AusHEAL and funded through a grant from the PETA SEYMOUR Foundation in Brisbane, Australia. 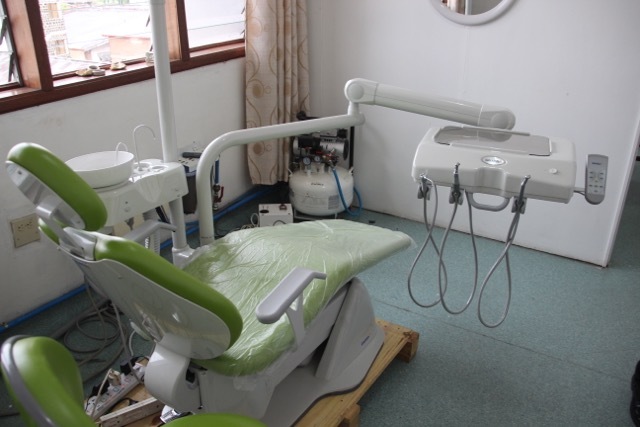 AusHEAL supplied Dental Chair and System funded by the PETA SEYMOUR FOUNDATION. the seemingly successful visit to HEAL Africa of 2 surgeons from the College of Surgeons of East, Central and Southern Africa (COSECSA), viz. the General Secretary (from Nairobi) and the Vice-General Secretary (from Rwanda). 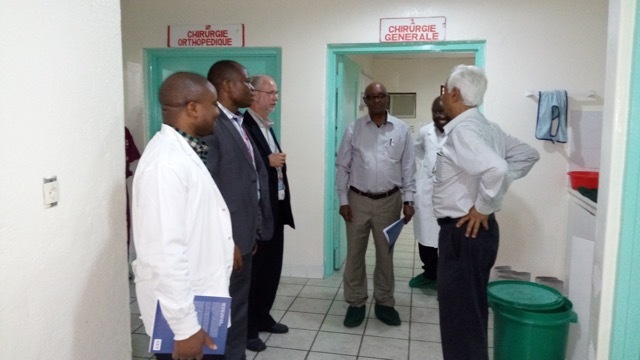 This was to assess the ability of HEAL Africa Hospital to become the first surgical training centre in D.R.Congo. As they toured the hospital it was impressive to see how much they appreciated the HAH facilities and the degree of resources AusHEAL and other Australian supporters such as Sonic Healthcare have built into the establishment – pathology lab, radiology department with digital X-ray facilities, library, re-organised operating theatre, physiotherapy department, ICU, Emergency Department, the IT capability and computerised hospital management system, dental clinic and the number of specialist staff either trained by or in training with AusHEAL funded scholarships. 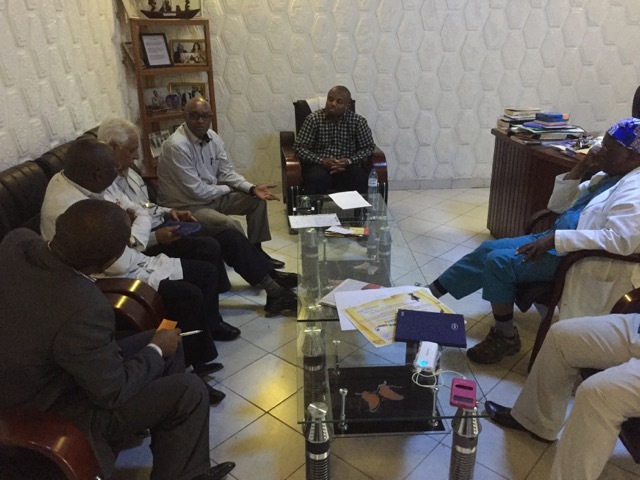 The COSECSA decision regarding accreditation is awaited and then the HEAL Africa Assemblie Generale will consider the option when it meets in March 2016. Challenging operating cases continued during the week despite all this activity, including a patient with a major potentially life threatening gunshot wound to his chest saved by timely intervention. Even as Dr Neil was trying to leave on Friday he participated in surgery for yet another ‘abdominal catastrophe’ this time in a 32 year old woman. Her original operation of the 3 operations she underwent before her family brought her to HEAL Africa Hospital was a Caesarean section. Her case highlights again the desperate training needs in outlying provincial medical centres. 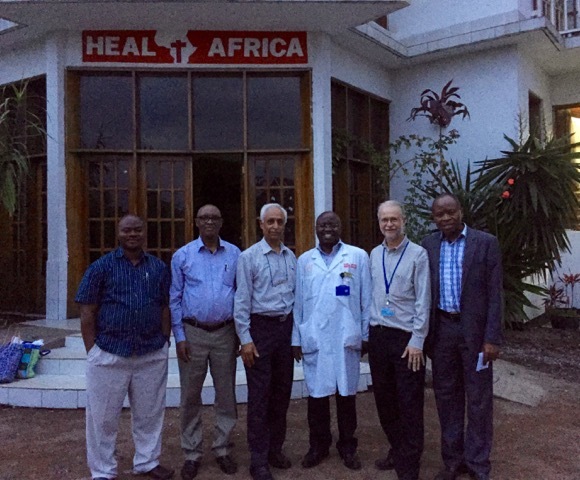 2015 has been a ‘big year’ for AusHEAL as we continue to partner with HEAL Africa Hospital. The AusHEAL Annual Meeting and Planning Day is to be held on 21 November in Australia. It will review the year’s efforts and lay the ground work for further contributions in the coming years.